In 2001, the Diocese of Chicago entered into a relationship with the Diocese of Renk in Sudan and the Diocese of Southeast Mexico, in order to provide mutual support and encouragement. Learn more about the mission trips below. 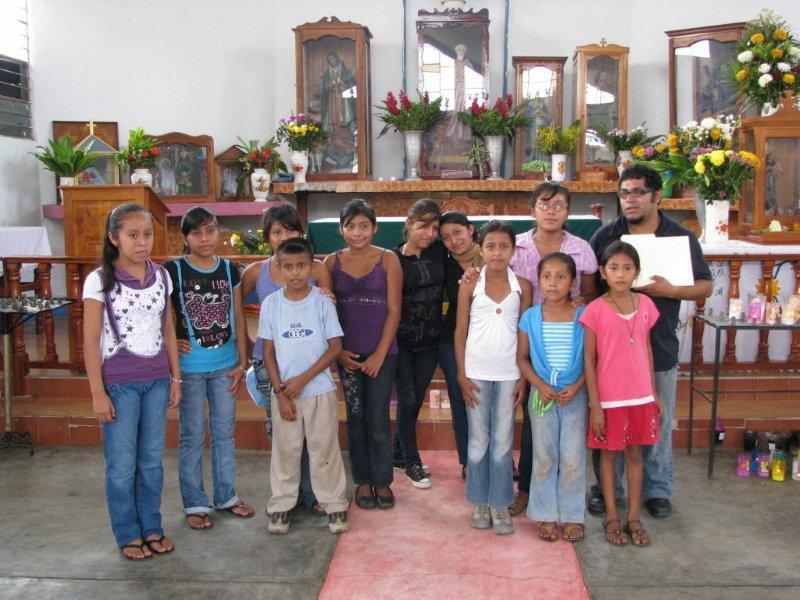 Visit the Companions of the Diocese of Southeast Mexico Facebook page at https://www.facebook.com/CompanionsSEMex. 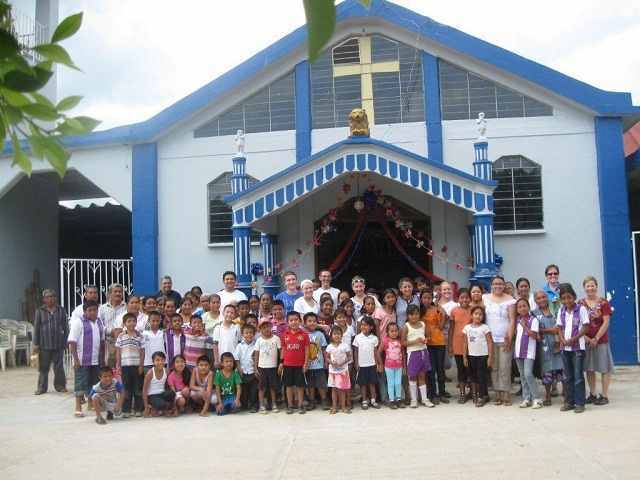 St. Mark’s began its relationship with San Marcos in the Diocese of Southeast Mexico in the summer of 2006. During our first visit to Nigromante, we had the opportunity to see firsthand how some rural churches in the area used micro-businesses to help the needy in their communities. We realized that we at St. Mark’s could help the parish of San Marcos by helping them purchase a bread oven. In addition, this first trip showed us that we could enter into a mutually respectful, loving, and joyful friendship with this church and its members. 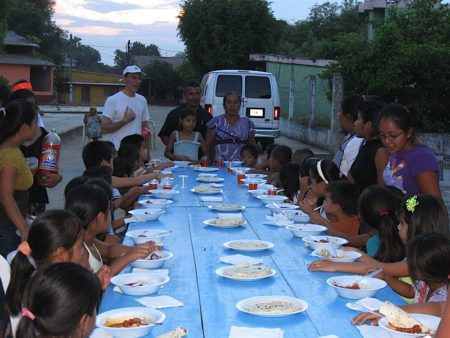 The following summer, 2007, we returned to San Marcos with a group of 15 adults and teens. During this visit we saw the bread oven in action: we actually helped make the bread and went door to door selling it! 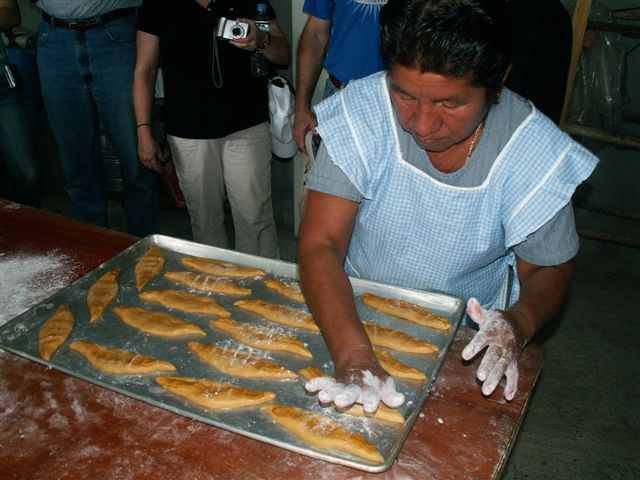 Proceeds from the bakery help provide income for the workers. After discussions with Bishop Benito and Padre Isaias, we decided our 2007 project would be to build a play set for the community. The church of San Marcos is located in the heart of Nigromante, at its village plaza. We purchased the kit at Costco in Veracruz, and completed it just before we scrambled for the van to catch our flight home. When we returned in 2008, the people were moved that we would return a third time and that we were truly interested in pursuing a continuous, mutual friendship. During this visit, we were delighted to see the progress of the bakery and to see the play set still enjoyed by los ninos in the community. 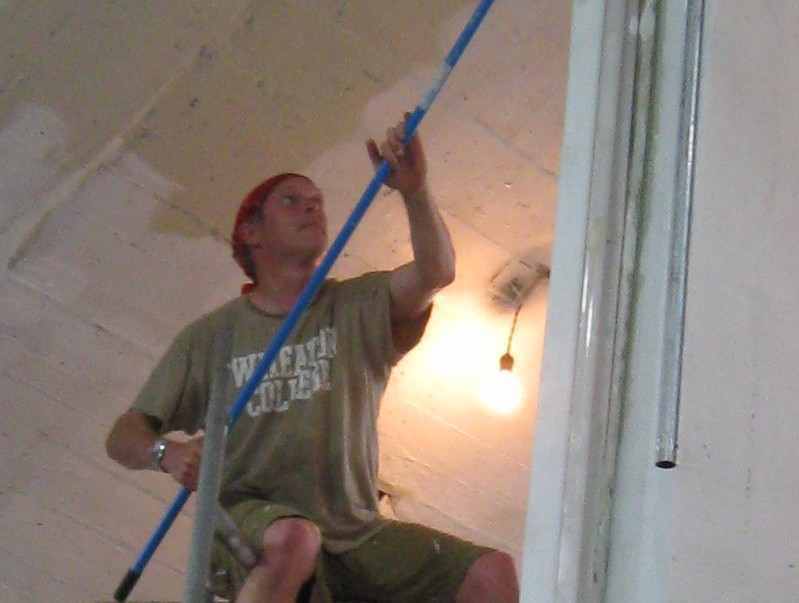 This time we tackled a new, physically demanding project: sanding and painting the church roof (in the hot sun.) 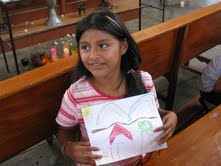 Another, less grueling, project was carried on inside the church: we worked with San Marcos parishioners to launch a Vacation Bible School for the children of the parish. June 2009 marked our fourth trip to San Marcos. 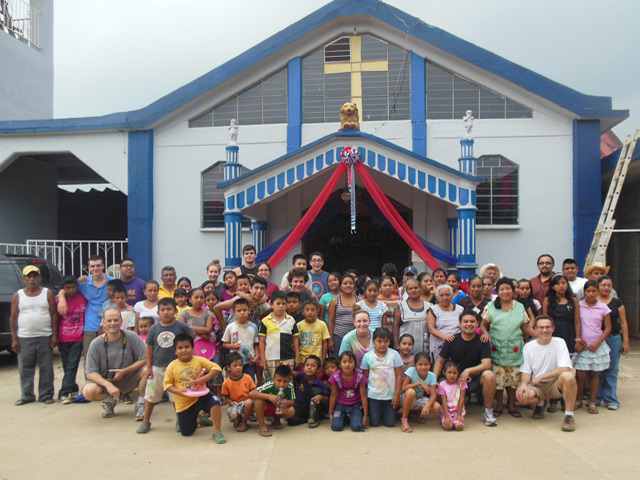 With the help of the parish, we painted the inside of the church, installed fans, and held Vacation Bible School classes. We also helped cook and serve a breakfast for the children of Nigromante. Seventeen St. Marker’s traveled to Nigromante–our largest group yet. During our visit, we prepared a place in the church where the religious statues can be displayed – away from their position at the altar. 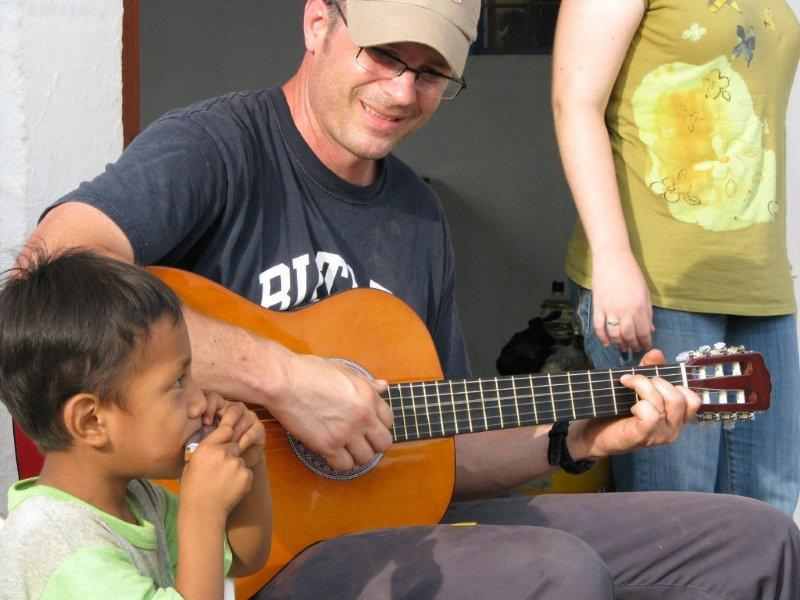 We again helped with VBS (Vacation Bible School), providing music, musicians, and crafts. We presented Padre Daniel with a stole, a guitar, and our most recent parish picture. 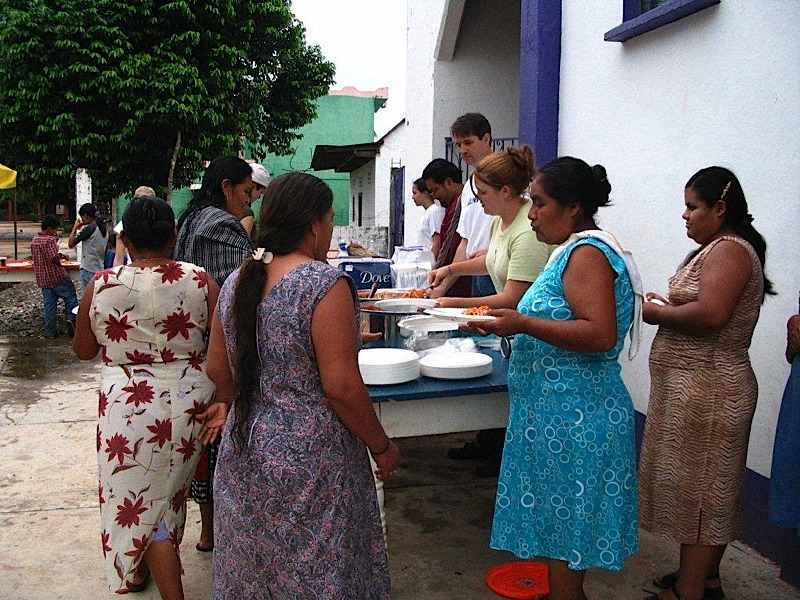 We worked with the women in preparing food. We honored twelve scholarship recipients who received education funds donated by St. Mark’s. And most importantly, we focused on being in a relationship — playing, talking, and just visiting with our old and new friends in Nigromante. We finally got the computer lab set up after 3+ years of work. We took down 5 laptops (gave one last year, too), and got them all set up!